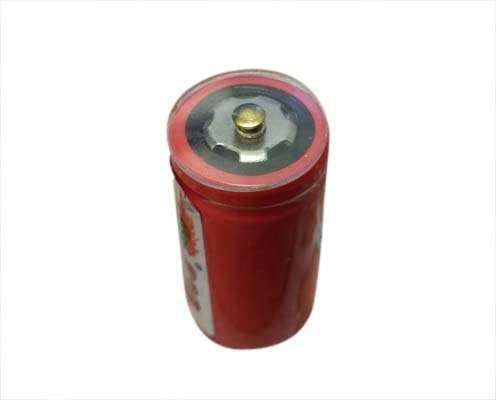 This is an adapter that turns any flat-top battery into a button-top battery. Simply place the adapter on top of your flat-top battery to simulate a button-top. Some devices won't accept flat-top batteries, so this is a great item to keep around in case you stumble upon one such device. Adds minimal length and resistance to the battery.